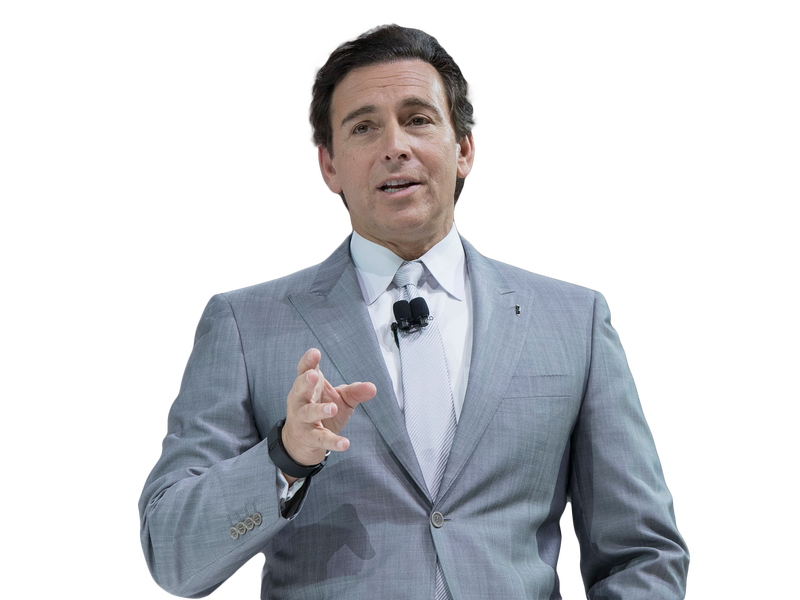 Ford groomed Mark Fields to assume the automaker’s top position for a long time, but his tenure as CEO will be short-lived. On Sunday the company announced that he’ll be officially replaced amid a downturn in the auto industry and concerns over Ford’s stock price. So what happened? Fields was given the dignified way out, as he was officially allowed to “retire.” But genuine retirement plans are always long, drawn-out affairs, planned out years in advance. Just look at FCA head honcho Sergio Marchionne, who has made no secret about his plans to bail in 2019. They don’t dump the guy on a Monday morning and have his successor do all the press conferences. But we’re sure Fields will be fine. He’s made tons of money in his career, and will probably do alright in whatever he chooses to do next. Basket weaving, or whatever. But it’s not like Ford has been circling the drain. So what went wrong? Much of what Ford has described as the company’s ‘new direction’ is exactly what Fields championed during his tenure as CEO. The real reasons for his departure are much more clear: Fields might have said he supported ‘the future,’ but he showed no results, he bungled Trump, Ford’s car sales fell harder than the industry standard and Ford’s stock price took a dive under his watch. By the sound of what executive chairman Bill Ford said at a press conference Monday morning, Ford didn’t think Fields acted enough like his counterpart at General Motors, Mary Barra. Under new Ford CEO Jim Hackett, Bill Ford said the automaker needs to address “underperforming areas,” modernize its business and invest in The Future. Yes, The Future. But Ford has lagged behind General Motors, particularly on autonomous vehicles and electric cars. GM has had a number of milestones this past year, with its investment in the autonomous tech start-up Cruise, as well as the rollout of the Bolt EV. As for “underperforming areas,” Barra also oversaw GM’s departure from Russia and India, along with the sale of its European operations to PSA Group. “This is a time of unprecedented change,” Bill Ford said. “A time of great change requires a transformational leader,” he added. Publicly-held corporations are beholden to their investors. In that sense, Ford’s had little to cheer about Fields. Since taking the reins in 2014, Ford’s stock price has slid 35 percent, despite soaring profits and the F-150 serving as a helpful bolster. And while car sales are trending downward across the industry, Ford far exceeded the total industry’s decline. Ford dropped a staggering 25 percent, as The New York Times notes. So what’s there for investors to be excited about? At the press conference, Hackett—a former CEO of furniture maker Steelcase who briefly ran the University of Michigan’s athletic program—at least hinted that Ford needs to start delivering in order to turn its stock price around: “That’s a consequence that comes after we do the things we say we’re going to do,” he said. When it comes to “things,” Ford’s riding high on what’s considered the future—autonomous vehicles, electrified platforms, shared mobility. All the industry jargon buzzwords of the moment you can think of, Ford’s on it. Fields’ ambitions to helm Ford’s transition into a smart mobility company, producing autonomous and electric vehicles—rolling out a City of Tomorrow—have been well intentioned, given the industry’s intense focus on bringing robot cars to production. Ford has said it plans to have an autonomous vehicle ready to go by 2021 for ride-hailing purposes. But look at its standing in the field currently: FCA has teamed up with Google’s Waymo, one of the clear leaders in the robot car race. GM’s logging serious mileage on its AV tests; has a huge investment in Lyft, which could help bring autonomous vehicles onto the scene far sooner; and it’s debuting the semi-autonomous Super Cruise feature for Cadillac later this year. Put simply, Ford’s standing hasn’t been exactly strong. Whether Hackett’s going to speed-up its efforts wasn’t immediately clear Monday. Hackett danced around questions related to the 2021 goal a number of times, offering a very generalized remark about the coming years. “The way we’re going to win the hearts and minds of everybody is to have great ideas that work, and Ford has put a decade into the AV development and it’s really coming along,” he said. And we’re ready to talk about it we’re going to be really clear about it.” Doesn’t really inspire confidence, I’m sure, but it’s only day one. Shortly after the press conference Monday, the Wall Street Journal published a story, citing an unnamed person familiar with Ford’s board of directors thinking, that said Fields’ relationship with Donald Trump also played a role in his departure. A longtime Ford executive, Mr. Fields is seen as having unnecessarily put the iconic car company on President Donald Trump’s radar during last year’s campaign, according to a person familiar with the board’s thinking. As then-candidate Mr. Trump was railing on companies that make products in Mexico and ship them to U.S. stores, Mr. Fields boldly told shareholders about a plan to move production of the Ford Focus from Michigan to San Luis Potosí. What Mr. Fields didn’t make clear was that the auto maker had specific products in mind to replace the Focus and preserve jobs, the person said. Mr. Trump pounced, painting the 114-year-old auto maker founded by Henry Ford as the poster child for outsourcing and Exhibit A of why the North American Free Trade Agreement was bad for American workers, including the roughly 150,000 factory workers employed by Detroit’s Big 3. The decision by Fields amounted to a political misfire, setting Ford up to be a routine punching bag for Trump on the campaign trail. After the election, Trump took aim at vehicle-emissions standards set by Barack Obama’s administration, and, eventually, Fields slithered up to the new president’s side and tried to win his good graces. In the interim period before Trump took office, Fields abruptly announced that a $1.6 billion investment for a new factory in Mexico would be canceled, despite earlier pronouncements otherwise. The actions Mr. Fields took in the span between Mr. Trump’s nomination as the Republican candidate for president and Inauguration Day only created more confusion, the person said, and ended up costing the company hundreds of millions of dollars in lost investment due to the cancellation of the San Luis Potosi plant. It’s probably no surprise the 2016 election played a role here, but Fields particularly handled the ascent of Trump clumsily from an investor’s perspective. Maybe this wasn’t intended to be a jab at Fields, but Bill Ford emphasized at the press conference Monday and to several news outlets that the automaker needs to be quicker on its feet. “We need to speed up our decision-making,” he said, giving you a sense that Fields had a tendency to trudge through business at a glacial pace. This probably has more to say about the way Ford organized its C-suite—evident by the major reorganization of the executive structure announced alongside the CEO shake-up. But clearly things weren’t moving at a clip with Fields that Ford would’ve liked to have seen. The Times pointed out that Ford has dealt with an uptick of safety recalls in recent years, and—similar to the rest of the industry—sales of small and midsize cars have dropped. Yet little appeared to change. “We’re moving from a position of strength to transform Ford for the future,” Bill Ford said in a statement. Now, we’ll see if Hackett can bring Ford’s future vision to life.